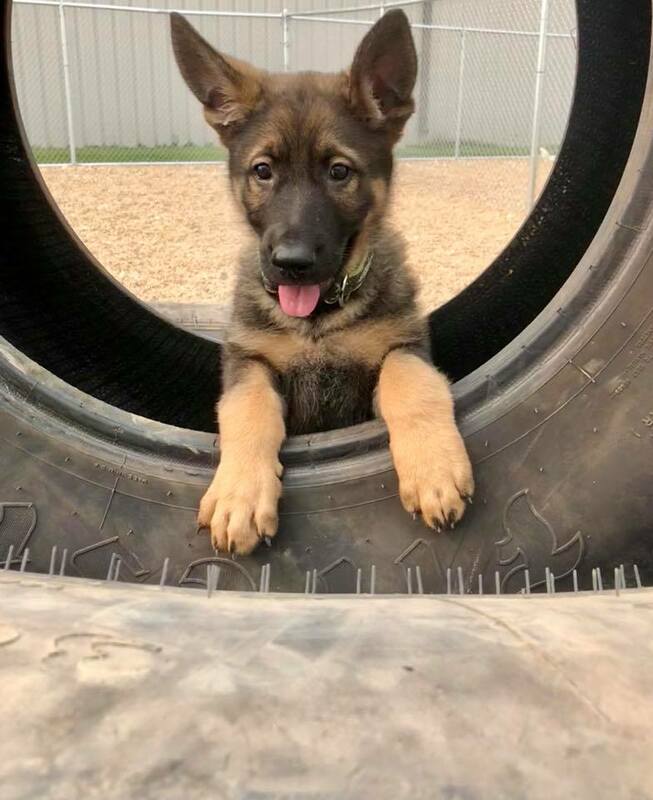 Is your dog a good fit? Yes! We take ALL dogs and provide a custom approach to each dog that comes here. With our several fenced in play areas, it's easy to separate or group dogs based on size, age, gender, or behavior. 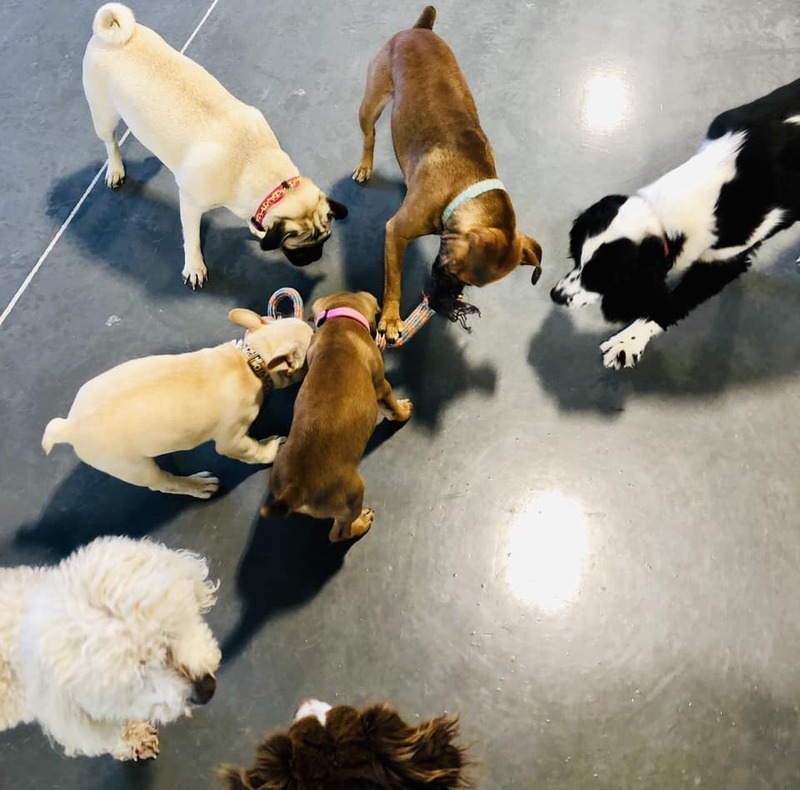 We know how to cater to any kind of dog and keep them active, safe, and promote socialization growth.We will do whatever it takes to make you and your pup comfortable! Stop in today for a tour or call 701-936-9536 . We believe a confident dog is a happy dog. When your dog is here, they are exposed to many different people and dogs under our direct supervision (Privacy Package available). This exposure to a safe social environment is key to achieve harmony and growth in their development in addition to endless exercise. 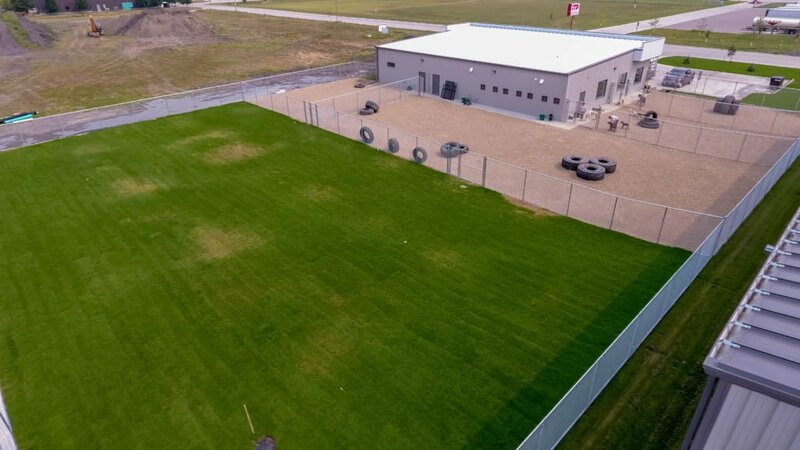 Our kennels are in a heated, cooled, and moisture controlled facility that is cleaned daily and veterinarian approved and inspected each year. The individual kennel sizes range from 2 ft x 2 ft for small dogs to 4 ft x 8 ft suites for family groups. Kennel Room Fear Free certified and calming kennels! 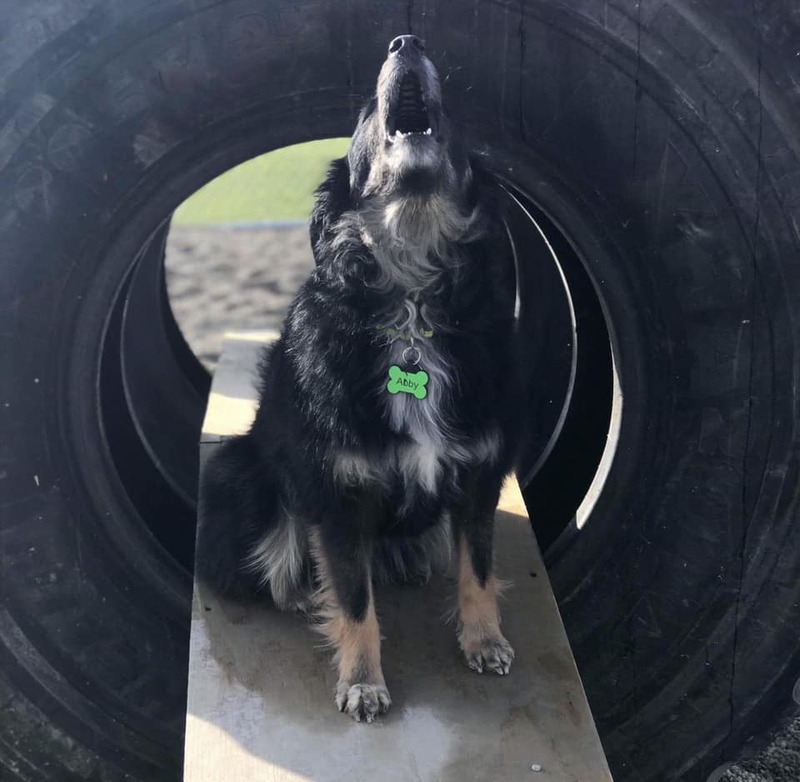 We have 5 large outdoor fenced in areas with obstacle courses and play equipment where we separate different groups of dogs based on age, size, gender, and temperament. We also have a football field sized grassy area! You will not find this type of design anywhere else! We have an indoor play area that is great for inclement weather days and for the smaller or shorter haired dogs that come to stay. We truly do cater to ALL DOGS! Bring – Food (or we have some for $2/day), bedding, shot records, collar (or we rent them for $3/day), and have your dog leashed when coming or going. Don’t bring – Bowls, comforters, raw hides, or other kennels. Optional -Toys, blankets, chewing treats, or anything to make your dog’s stay more comfortable. All dogs 16 weeks and older need Rabies, Distemper, and Bordetella. THE DROP OFF/PICK UP HOURS? Petting & belly scratches - FREE! Fetching & tug of war - FREE! Socialization play time - FREE! This package caters to dogs who need more one-on-one direct care with humans and space from other dogs. 4 + Dog Rate and other custom long term packages available upon request. Call 701-936-9536 for more information. We appreciate customers that make appointments ahead of time. We appreciate notice of pickup and drop off changes. Overnight charge allows for free next day daycare until 11 am. Half price additional dog must be able to share a single kennel, sleep together, and eat together. If a second kennel is needed for any reason, both dogs will be charged as a single dog. Emergency or after hours transportation, pick up, drop off, is $75. Puppies must be at least 8 weeks of age and have first round of Distemper and Bordetella. Adult dogs must have up to date Rabies, Distemper, and Bordetella vaccines. Medication fees are $5/day for anything other than dog food (supplements or medication). We require 48 hr notice of cancellation or full charge to all scheduled services for first day of reservation will be applied to the credit card on file. We are not responsible for damage to the items you bring. If your dog is not able to be around other dogs for any reason, a Privacy Package upgrade will be charged. Collars are required and must fit properly so they cannot slip off or a rental collar charge will be required. Collars must have either owner's name or dog's name on it. Fetchers will attempt to contact owners via phone and email to notify them of these charges. If contact is not successful, the charges are applied. We accept cash, check, and credit card transactions. Payment is required before dogs can be picked up. Credit card on file is required to make any reservation. 50 minutes left of this fun doggie party!